Long distance relationships are never easy. It can be hard to be apart from your love for weeks or months at a time. The distance does not make it impossible to have a great relationship though. 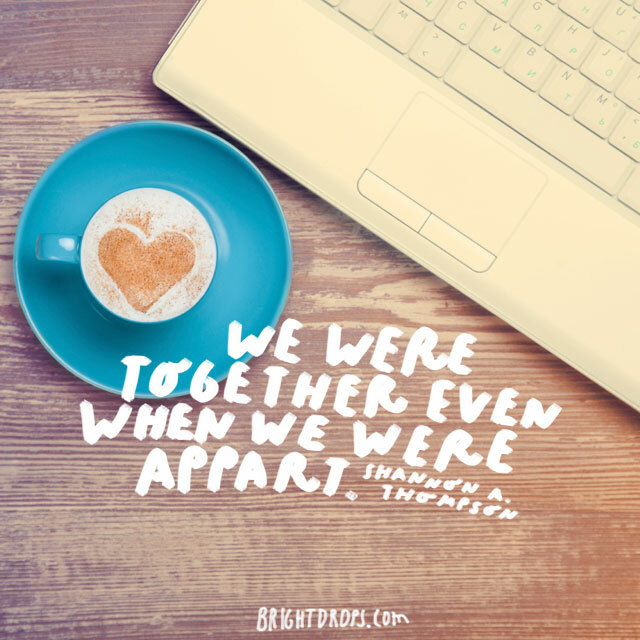 Read through these long distance relationship quotes to find comfort as you navigate the distance within your own relationship. When you love someone deeply, they affect every part of your life. They can be in the next room or a continent away and you will feel their effects on you. Distance does not make that go away. If you have a long distance relationship then you can easily understand this. Being without someone you love means so much to you, especially in the quiet dark of night. Being around other people is not a substitute for having your lover to touch, hold, and whisper sweet nothings to. The lack of your partner makes a bigger impact than being around others at times. 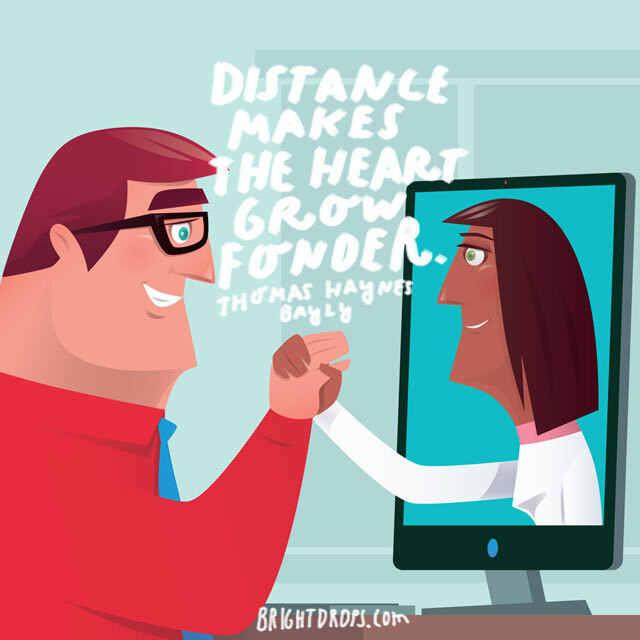 Distance between you and your partner can make you fonder of the time you spend together, but being truly present will give your relationship a strength you never knew existed. 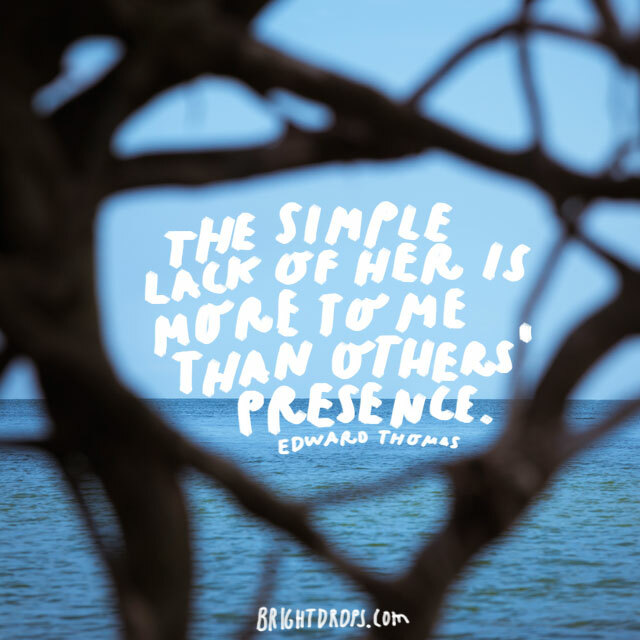 What is presence in a relationship? It’s giving your whole attention to your partner with no distractions, listening and loving them with your entire being. 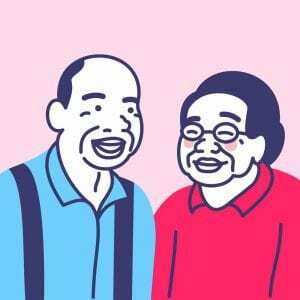 If you and your partner live miles away from each other, it can be a challenge for sure. 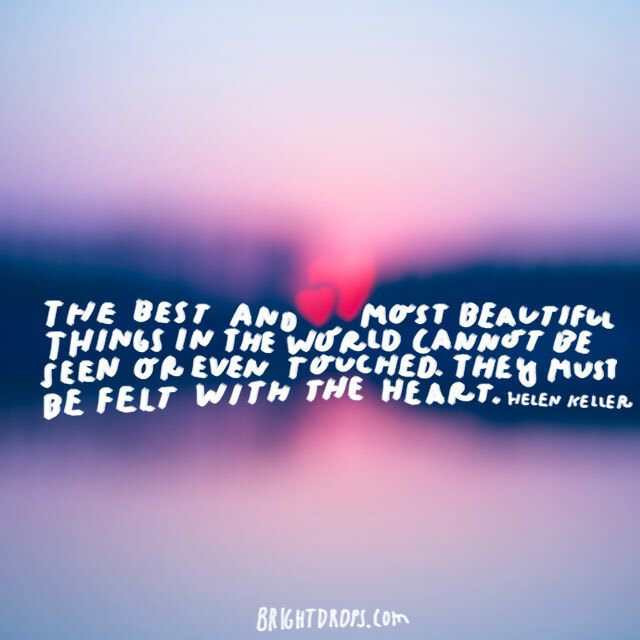 However, your love is beautiful and if you can’t see or touch the one you love, then feel them with your heart. Carry them with you every day until you can once again see and touch their face. 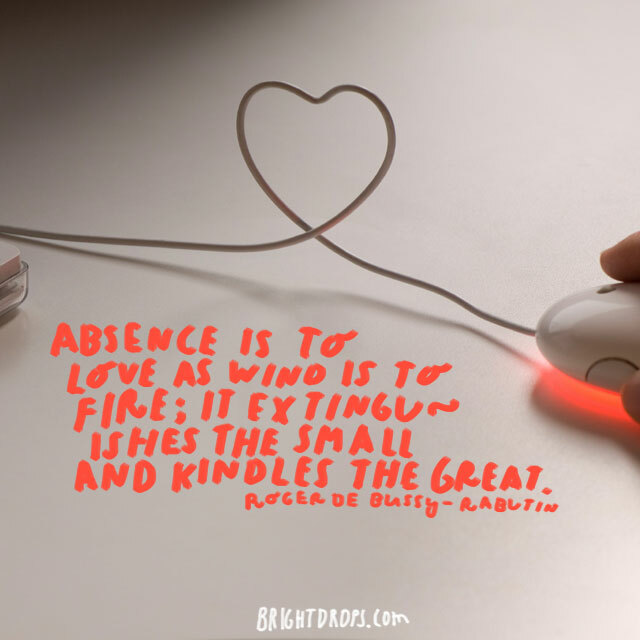 Take a look at the love you have within your long distance relationship. If your love is established well, then the absence between you will only kindle a greater love. 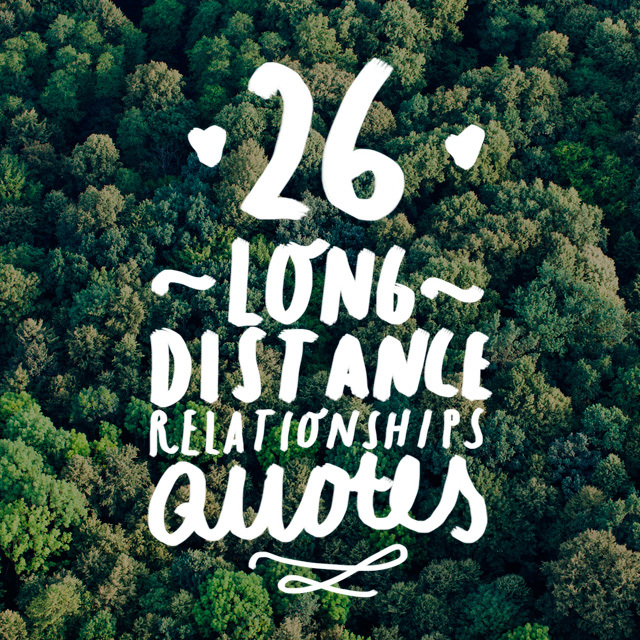 It takes depth, courage, and consistency to maintain a resilient long distance relationship. Now isn’t this just cute? The warmth you feel because you are close in heart with the one you love can make being apart unbearable at times. But that warmth you feel means that the two of you are connected and missing each other. Your heart, though tender, is strong enough to weather any storm and any distance between you and your love. The heart can cover miles with the love you feel every day. Though the space between you might be great, cling to the love that is there and the time you see each other will be sweet indeed. When you experience true love, just having your partner at work for the day is a distance too great and you can’t wait to see them again. However with many miles between you, true love knows now to build bridges to ensure the love still exists no matter how many miles separate you. This is a quote that has made its rounds in society. However, the statement remains true. 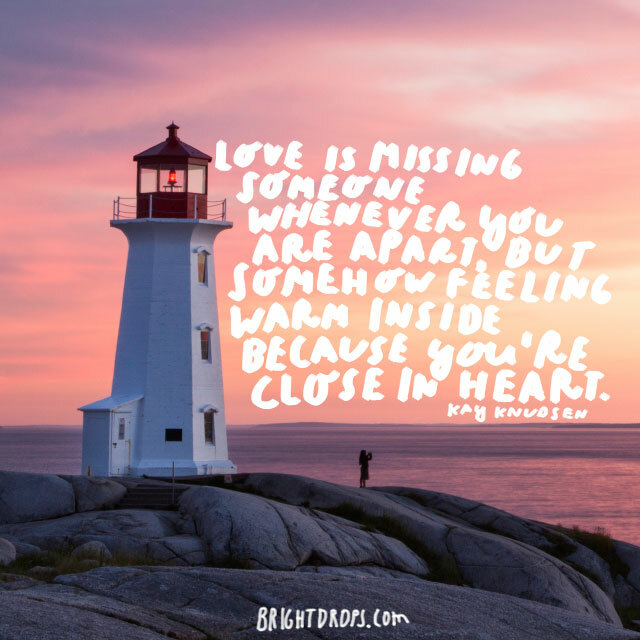 When someone is living apart from you, the heart grows fonder by the pure fact of you missing them. You realize that it’s hard to take your lover for granted when you don’t get to see them as much. One comforting thing about having a long distance relationship is that when you look at the sun or the moon and stars, your lover can see the same ones from where they are. 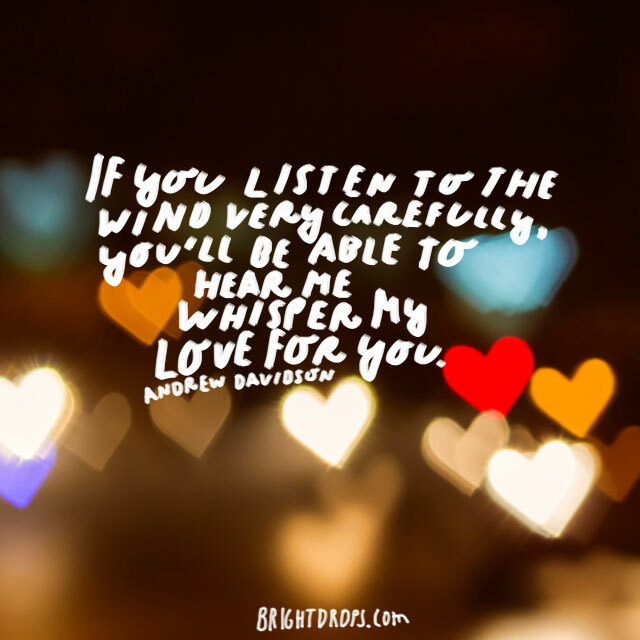 When the wind blows, imagine it having blown across their skin and now yours; hear the whisper of their love for you in nature. When you are in love with someone who lives a great distance away, they can still remain close to you in your heart. Their presence can be felt every time you think of them. If they are never far from your mind and heart, they are never far away at all. It can be heart wrenching to say goodbye to the love of your life. To separate yourselves because of a long distance situation can be challenging. However, think to the times when you will meet again and the joy that supersedes the pain of saying goodbye. 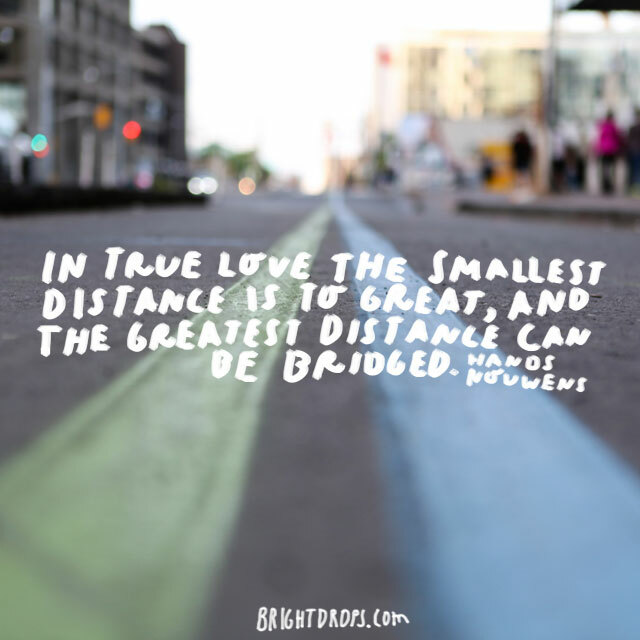 Real love will be tested under the struggle of a long distance relationship. However, if your love is real to the core and true as true can be, then the distance will not affect the love you have for each other. If being apart makes little difference to you both, except in regards to the amount of face time you get, then congratulate yourself on a strong relationship! When you part from your lover, do not think of it as a goodbye, because to say goodbye carries energy of finality; of pain. But if you walk away with the idea that they are with you in your heart until the day you are reunited, then perhaps the parting will be a touch easier. 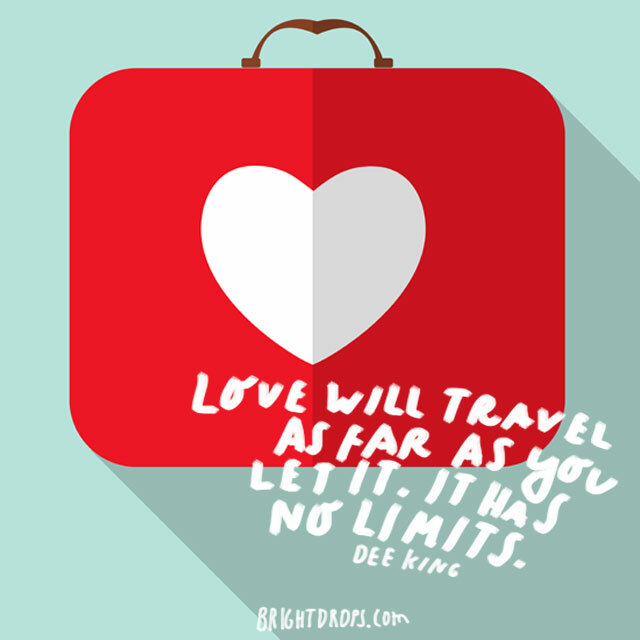 Love does not know state lines, international boundaries, or flight plans. Love transcends any time and distance. It is pure and strong. There are no limits so do not let distance dictate how much you decide to love someone. Love is stronger than the miles between you. We’ve talked about this a lot here. True love can withstand any long distances between you and your lover, it really can. 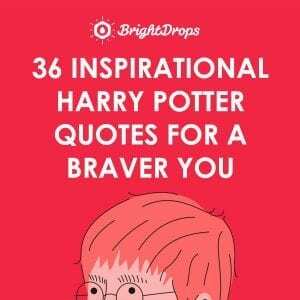 It can endure hardships of any kind, if you but let it. Love can connect you even if your partner lives across the planet. 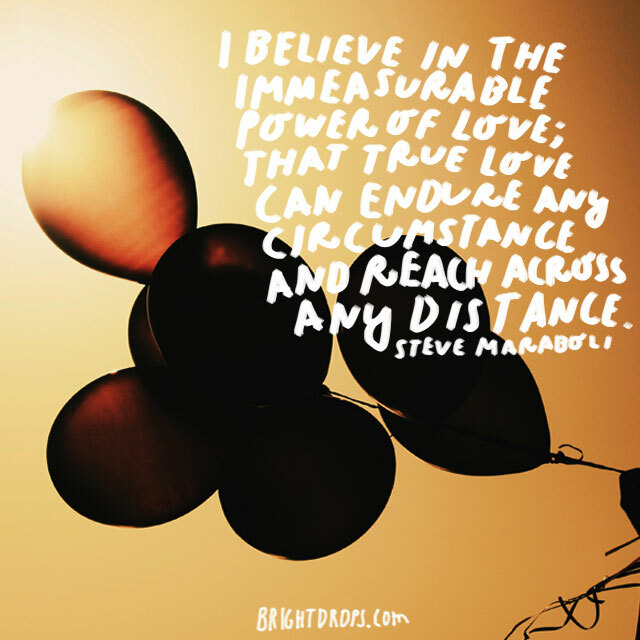 Tap into the immeasurable power of love. So it’s time to evaluate the depth of your love. Can you still feel it when you are separated from your partner? 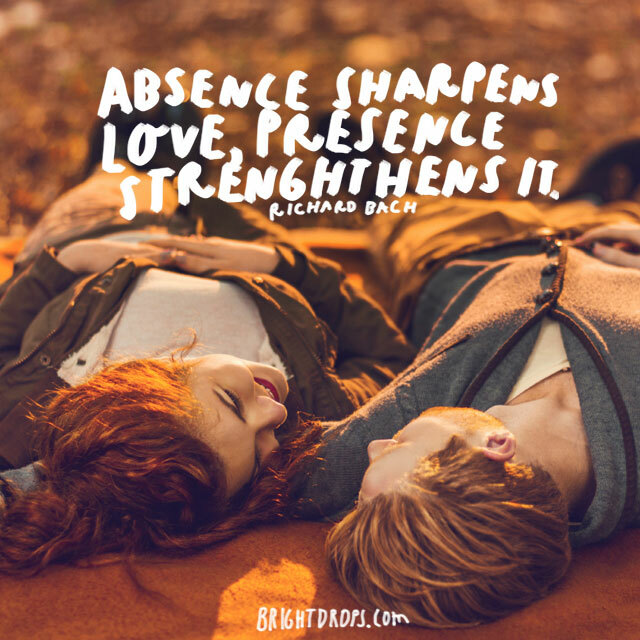 Does being apart strengthen or weaken your relationship? Though parting feels painful, it can be the very sustenance you need until the time you can see them again. 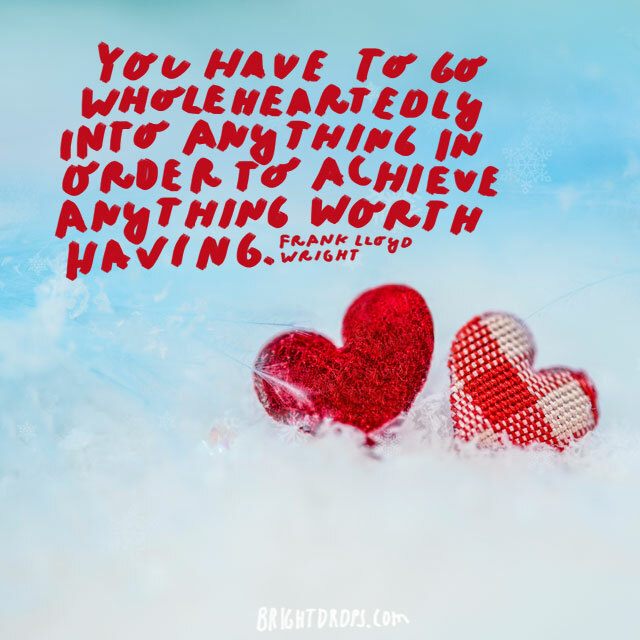 There’s more you can do than just carry your partner in your heart. Set up face time date nights on the computer. 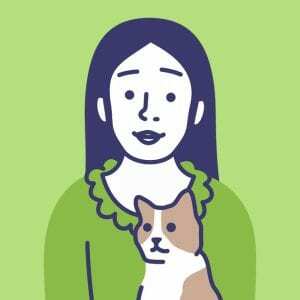 Send weekly cards and letters in the mail, send flowers, and connect on social media. Use the tools at your disposal to be closer to your partner while you are far away from each other. When you are truly in love with someone, no challenges or problems can keep you from loving them. 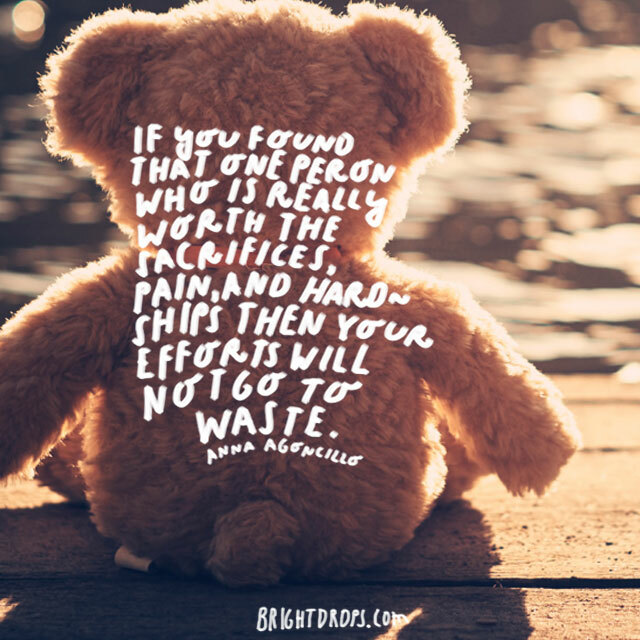 All sacrifices, especially those that are made when living long distance from each other, are worth it if the person you love is worth it. 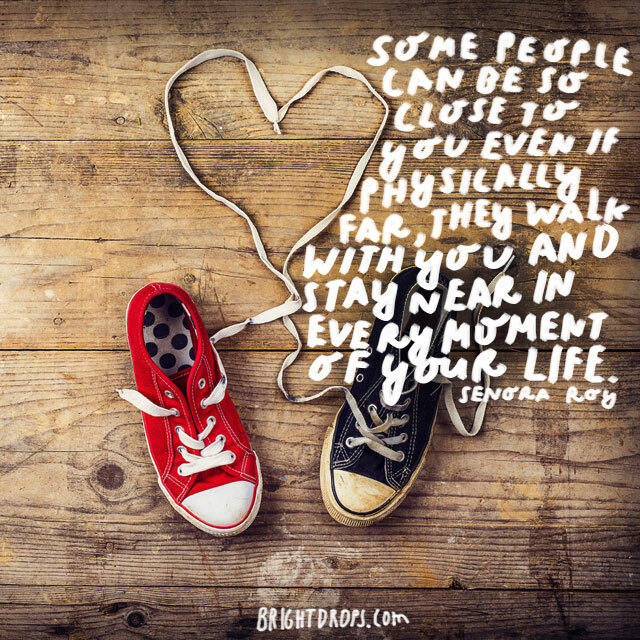 Don’t let the distance keep you from having a wonderful relationship. 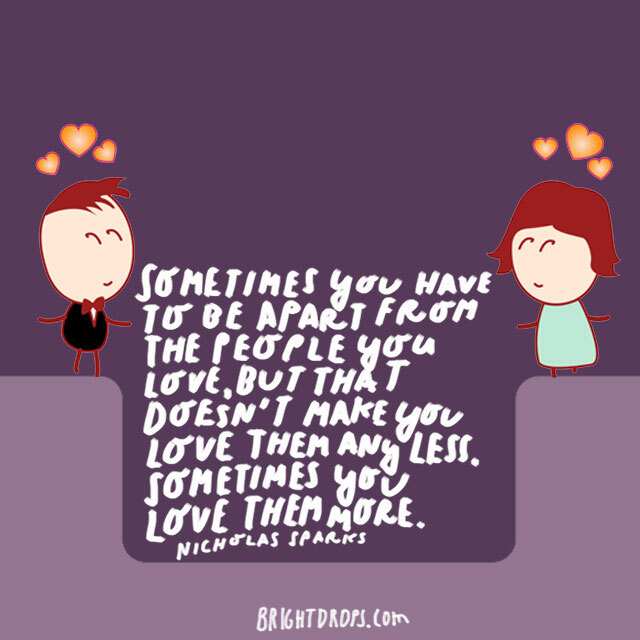 Why do we love people more when we are apart from them? Well, it has to do with realizing that you should never take someone you love for granted. It makes you appreciate all the time you do get to spend with them, as well as make you more grateful for having them in your life. Everyone tends to think that long distance relationships are doomed to fail. It’s true that many do. 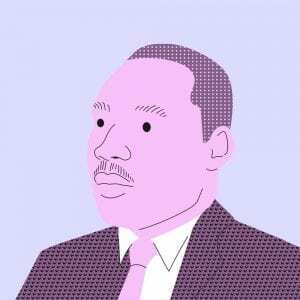 However, you can be the ones who make it. You can be the ones who last through time and distance. 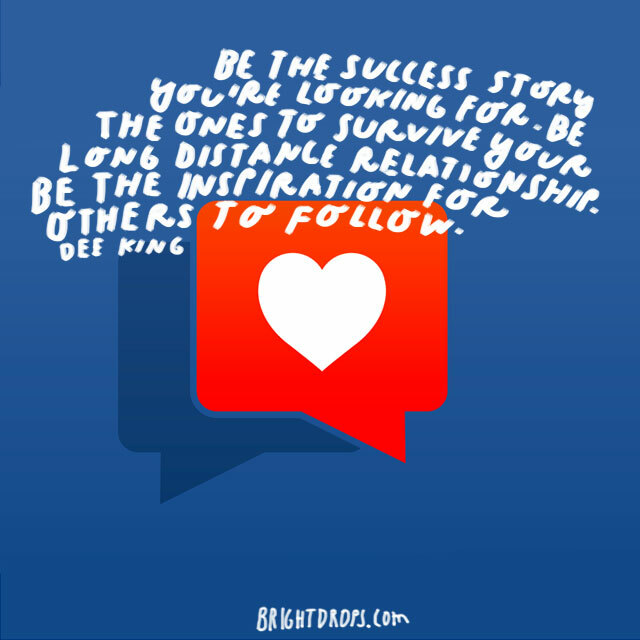 It takes work, and if you both are committed then you will be an inspiration to all other long distance couples. 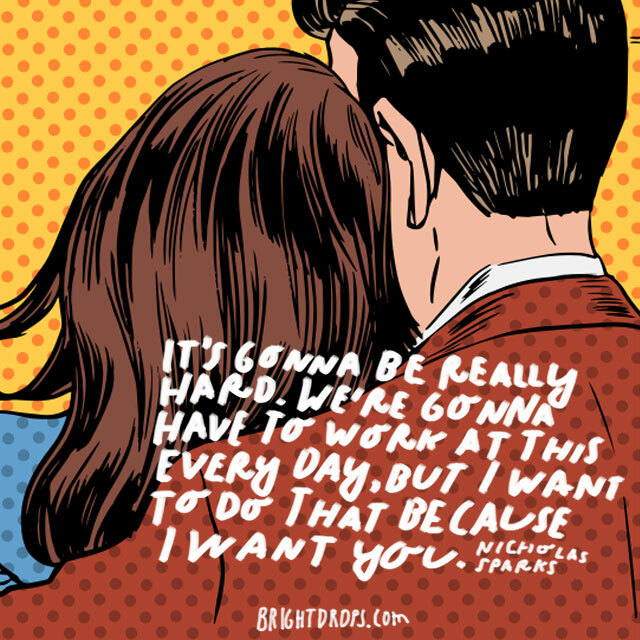 When you really want each other, you do what it takes to make things work. You both make sacrifices, compromise, and give each other trust and respect. It takes a daily conscious effort to make a long distance relationship work, so make sure you are holding up your end of this. There are many people who don’t even pursue a long distance relationship because they don’t want to risk themselves if things don’t work out. If you are one of these people, then consider the possibility that things could work out. 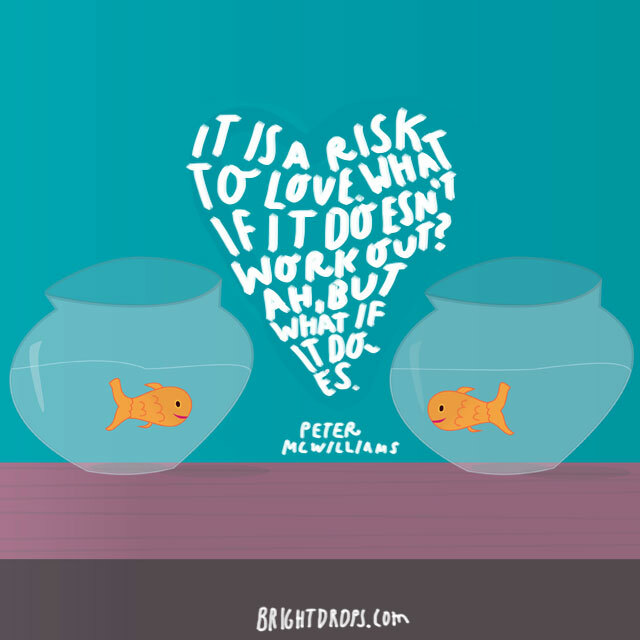 If it does, then you will not have missed out on a beautiful opportunity. You are very lucky to have someone in your life that you love so much that saying goodbye is such a hard thing. 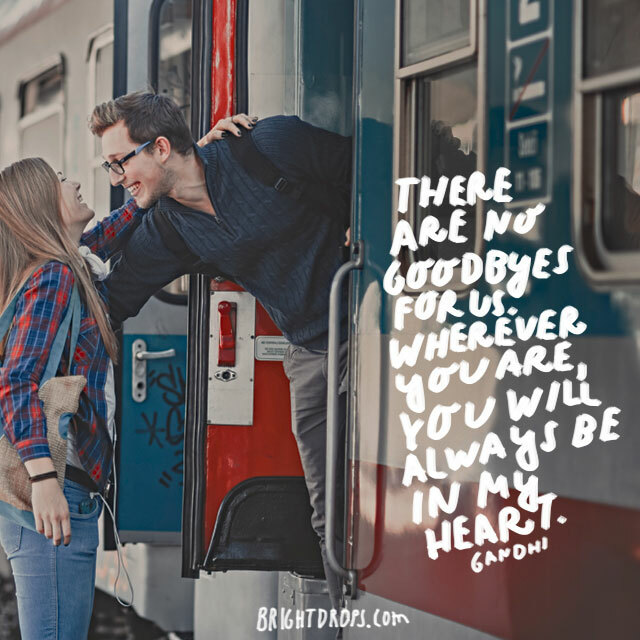 It might not feel like it at the time, but when you have a loving relationship, saying goodbye should be hard. If it’s not, then maybe it’s time to take another look. You cannot survive a long distance relationship if you aren’t committed 100%. If you sit on the fence, or go back and forth with your dedication, then you might never know how wonderful this relationship could work out to be. Give it your all and see what happens. Love is the greatest magic that ever lived. It really is wonderful. 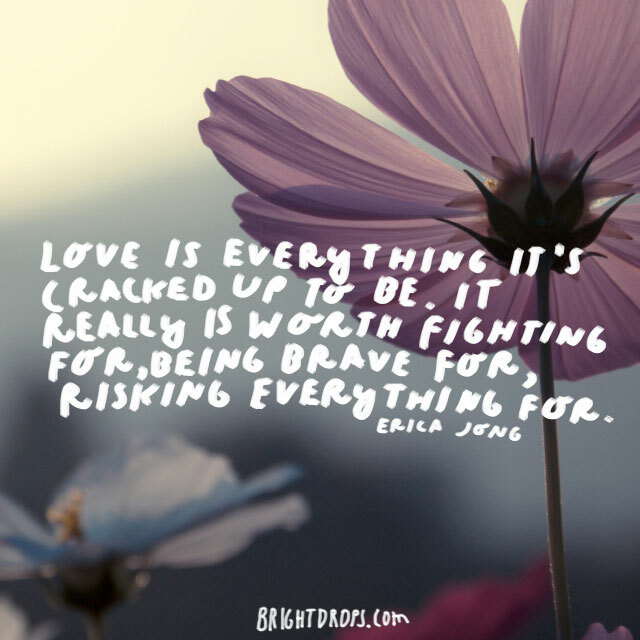 True love is worth working hard for, taking risks for, and not letting your fears keep you from having it. 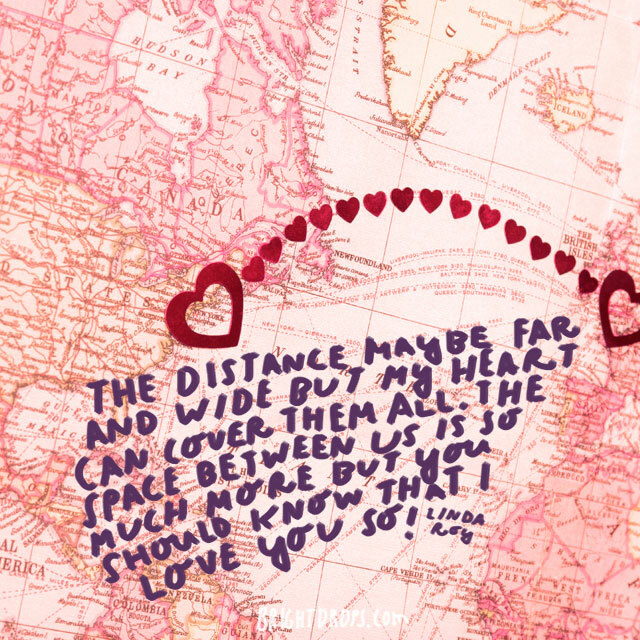 No matter the distance, you can work it out if you give everything you’ve got to the love you have.